"As always, Berlin's writings are as engaging as they are informative. 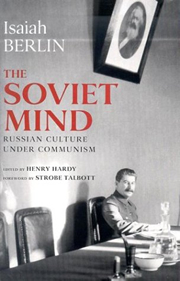 Framed between Hardy's preface and Rappaport's glossary, however, The Soviet Mind is a distinguished collection." "He possesed a clever but also cruel look and all his countenence bore an expression of a phanatic he signed death verdicts, without moving his eyebrow. His leading motto in life was “The purpose justifies the WAYS” he did not stop before anything for bringing out his plans." I have long known that this book ought to exist. Isaiah Berlin’s scattered writings on the Soviet era of Russian politics and culture are substantial both in quality and in quantity, as well as being unlike those from any other hand. doubt, had much better be published in ten or fifteen years’ time, perhaps after my death – as interesting reflections, at best, of what things looked like to observers like myself in the ’50s, ’60s, ’70s etc. Believe me, I am right. What has brought the project to fruition at this particular juncture is the welcome proposal by my friend Strobe Talbott that the pieces in question be made the subject of a seminar on Berlin’s contribution to Soviet studies and published by the Brookings Institution Press. Strobe’s foreword expertly places the contents of the book in the context of Berlin’s oeuvre as a whole. A few supplementary remarks now follow on the circumstances in which the essays I have included came to be written. unassuming title ‘A Note on Literature and the Arts in the Russian Soviet Federated Socialist Republic in the Closing Months of 1945’. I enclose a long and badly written report on Russian literature etc. which I am instructed to forward to you by Frank Roberts . I doubt whether there is anything in it that is either new or arresting – here only Jock Balfour  has read it, in the Foreign Office I doubt if anyone will. It is confidential only because of the well-known consequences to the possible sources of the information contained in it, should its existence ever become known to ‘them’. I should be grateful if you could return it to me via the Foreign Office bag addressed to New College, Oxford, in the dim recesses of which I shall think with some nostalgia but no regret of the world to which I do not think I shall ever be recalled. The other piece written contemporaneously with the events of 1945 is a more personal account of his historic visit to Leningrad from 13 to 20 November, less than two years after the lifting of the German siege. He deliberately underplays, indeed slightly falsifies, his encounter with Akhmatova on (probably) 15–16 November. But in a letter to Frank Roberts, the British Chargé d’Affaires in Moscow, thanking him for his hospitality, he writes that when he called on Akhmatova again on his way out of the Soviet Union at the end of his visit, she ‘inscribed a brand new poem about midnight conversations for my benefit, which is the most thrilling thing that has ever, I think, happened to me’. Berlin’s famous essay ‘Meetings with Russian Writers in 1945 and 1956’ was published in full in 1980 in his Personal Impressions. The story it tells so clearly forms a part of any volume on the present theme that I have made an exception to my general practice of not publishing the same piece in more than one collection, and have included this shortened version of the essay, taken from The Proper Study of Mankind. Besides, the latter volume differs from my other collections of Berlin’s work in being an anthology of his best writing, drawn from all the other volumes, and this is the only piece it contains that had not already been published (in this form) in another collection. Ever since he visited Leningrad in 1945 Berlin had intended to write an account of his experiences there. It was in 1980, while Personal Impressions was in preparation, that he finally turned to this long-postponed labour of love, in response to an invitation from Wadham College, Oxford, to deliver the (last) Bowra Lecture. The text he wrote was much too long to serve as it stood as an hour-long lecture, so he abbreviated it. The result is the version included here, with the addition of some material restored from the full version when the lecture was published in the New York Review of Books. would be in even more serious trouble with the Soviet authorities than Doctor Zhivago had already brought him. Indeed, Pasternak formally declined the prize, under considerable duress. Old and sick, he did not have the strength or the will to confront the Soviet authorities, and was also worried about threats to his economic livelihood (and that of his lover, Olga Ivinskaya) if he did accept; in addition, had he left the Soviet Union to collect the prize, he would not have been allowed to return. write something for publicity purposes once the Swedish Academy’s decision was announced. At all events, the text was drafted, but if there was a published version, I have not found it; perhaps it was used as a source rather than printed verbatim. When I came across the typescript, I showed an edited version to Berlin, who read it through and filled in a few gaps. He himself could not tell me the circumstances of its composition. a society of individuals rooted in the history and the morality of their time, and a personal avowal of overwhelming directness, nobility and depth. Some critics have tended to attribute the exceptional success of this novel to curiosity, or to the scandal that its appearance created. I see no reason for this belief. Its main theme is universal, and close to the lives of most men: the life, decline and death of a man who, like the heroes of Turgenev, Tolstoy and Chekhov, stands at the edges of his society, is involved in its direction and fate, but is not identified with it, and preserves his human shape, his inner life and his sense of truth under the impact of violent events which pulverise his society, and brutalise or destroy vast numbers of other human beings. As in his poetry, Pasternak melts the barriers which divide man from nature, animate from inanimate life; his images are often metaphysical and religious; but efforts to classify his ideas, or those of the characters of the novel, as specifically social or psychological, or as designed to support a particular philosophy or theology, are absurd in the face of the overwhelming fullness of his vision of life. To the expression of his unitary vision the author devotes a power of evocative writing, at once lyrical and ironical, boldly prophetic and filled with nostalgia for the Russian past, which seems to me unlike any other, and in descriptive force today unequalled. It is an uneven book: its beginning is confused, the symbolism at times obscure, the end mystifying. The marvellous poems with which it ends convey too little in English. But all in all it is one of the greatest works of our time. testament, far more so than any of his earlier writings (some of them undoubted works of genius, of which he spoke disparagingly). He said that the original typescript of the novel had been sent the day before to the Italian publisher Feltrinelli, since it had been made clear to him that it could not be published in the Soviet Union. A copy of this typescript he gave to me. I read it in bed throughout the night and finished it late in the morning, and was deeply moved – as I had not been, I think, by any book before or since, except, perhaps War and Peace (which took more than one night to read). I realised then that Doctor Zhivago was, as a novel, imperfect – the story was not properly structured, a number of details seemed vivid and sharp, but artificial, irrelevant, at times almost crudely cobbled together. But the description of the public reception of the February Revolution was marvellous; I was in Petrograd at that time, at the age of seven, and I remembered the reactions of my aunts, cousins, friends of my parents and others – but Pasternak raised this to a level of descriptive genius. The pathetic efforts of moderates and liberals were described with sympathy and irony. The crushing, elemental force, as he saw it, of the Bolshevik takeover is described more vividly than any other account known to me. But what made the deepest impression upon me, and has never ceased to do so, was the description of the hero and heroine, surrounded by howling wolves in their snow-swept Siberian cottage – a description that is virtually unparalleled. A month after his return in early April 1946 from his wartime duties in the USA Berlin was invited to speak to the Royal Institute of International Affairs at Chatham House in London on ‘Soviet insulationism’. He sought and received assurances about the composition of his audience and the confidentiality of the proceedings, and gave his talk on 27 June, under the title used here. This piece is the text of the talk as it appears in the minutes of the meeting, edited for inclusion in this volume. I have omitted the introductory remarks by the chairman, Sir Harry Haig, and the discussion period, which are posted on the official Isaiah Berlin website as part of the original minutes, written in the third person, in indirect speech. I have here translated this into direct speech for the sake of readability; but the result should not be taken as a full verbatim transcript of Berlin’s remarks. The story of the articles from Foreign Affairs included here is best told by quotation from Berlin’s entertaining letters to the journal’s editor, Hamilton Fish Armstrong, to whom Berlin’s readers owe a great debt of gratitude for his tireless attempts over more than two decades to extract articles from this reluctant author. He succeeded four times, and two of his successes appear below. N.Y.T., or if they don’t, by nobody. After doing nothing with the piece for 3 or 4 months (although he assured me it was scheduled for publication in August) Ascoli can have no claims. shd be grateful if you cd give me permission to have it translated, after U.S. publication, into German (The Monat) & French etc. : I shall, of course, never read it aloud myself to anybody: my authorship must remain a secret from as many as possible: but I may let Nabokov have a copy, provided he promises formally not to have it published anywhere (until you reply) but only uses it for informal discussion as a letter from an unknown source, offering various loose ideas. I apologise for this rigmarole – these queer conditions – the recital of the past etc. I hope you’ll like it, but I’ve no opinion, as you know, of anything I write: & if you’ld rather have nothing to do with the piece, pray forget this letter. I have just had a line from Ascoli wanting to see the piece again – but he shan’t – I’ll deal with that & it needn’t concern you at all. Do forgive me for my long delay, but Mr Utis has been far from well and overworked. He will be in New York next Saturday, but too briefly – for a mere 4 to 5 hours – to be of use to anyone. But he will, under my firm pressure, complete his task, I think, within the next fortnight and you shall have the result as soon as possible. He is displaying a curious aversion to social life at present, but it is hoped that the completion of some, at any rate, of his labours will restore his taste for pleasure, at any rate by mid-December. I shall certainly keep you posted about the movement of this highly unsatisfactory figure. All this was composed before your telegram – the technique of your communication has by now, I perceive, been established in a firm and not unfamiliar pattern of the patient, long-suffering, but understanding editor dealing with an exceptionally irritating and unbusinesslike author who does, nevertheless, in the end respond, apologise, and produce, although after delays both maddening and unnecessary, which only the most great-hearted editor would forgive. (c) A plus B would have the added advantage of making it possible for the incorporation of any new evidence which may crop up in the intermediate period. However, Mr Utis sticks to his original resolution; the manuscript shall be in the hands of the editor within two or three weeks in a completed form ready to print as it stands. Any additions or alterations – which at this stage are neither likely nor unlikely – could be embedded by mutual consent only if there was something really tempting. Mr Utis’s name is O. Utis. I hope this is not too much for you – do not, I beg you, give me up as altogether beyond the bounds of sweet reasonableness and accommodation. I really think that the arrangement proposed is the best all round. persons in the world now who know the truth. Nevertheless, the difference from the point of view of possible victims in the country under review seems to me genuine; and so long as the real name is not flaunted, and room for doubt exists, their lives (so I like to think) are not (or less) jeopardised. More thought on these lines would make me suppress the whole thing altogether on the ground that you must not take the least risk with anyone placed in so frightful a situation. (Never have so many taken so much for so long from so few. You may count yourself fortunate that this sentence is not a part of Mr Utis’s manuscript.) So, I drive the thought away and Mr Utis is my thin screen from reality behind which I so unconvincingly conceal my all too recognisable features. the problem of leisure from ever arising. property, than one in which ultimate responsibility rests in nervous or fumbling fingers; hence, the prospect of upheavals and revolt, etc. when M. Stalin (I hope you will keep the ‘M.’)  is succeeded is greater than during his years of power, however oppressive,arbitrary, and brutal. But perhaps I have said this already in the article. If so, I apologise for repeating myself this way. With well repressed resignation Armstrong accepts, on 28 November, the expansion, even though he had asked Berlin for a cut; another piece is shortened to make room for it. And with that the dust settles and the article is printed. appear to have been abandoned after he incorporated some of its contents, in a somewhat altered form, in the last section of the following essay; but much was omitted in this process, and not the least interesting material, so that it is well worth preserving this more personal narrative in full. Particularly toward its end, the typescript, made from recorded dictation by a secretary, contains gaps (some large) and uncertainties; these I have edited out to provide a continuous text, without, I trust, altering Berlin’s intended meaning. At the very end of the typescript there was a sentence that evidently did not belong there, but was probably an afterthought intended for insertion earlier: it does not seem to fit exactly anywhere, but it appears in the least unsuitable place I could find, as a footnote. with him which I have had to suffer, I should have given up this tiresome figure long ago. Nor could I, or anyone, blame you if you resolved to do this; there is no room for such behaviour in a serious world, without something more to show for it than poor Utis has thus far been able to achieve. You are too kind to him; and he, impenitently, takes it all too much for granted. It is clear from Armstrong’s next letter (4 September) that Berlin cabled disagreement about the title of the Utis piece and lest anyone suspect that he was the author – the re-use of Utis as a pseudonym. Armstrong tells Berlin that it is too late to make changes, as printing of the relevant part of the journal has already occurred. Berlin must have begged or insisted (or both), since on 9 September Armstrong writes that he has now ‘made the changes you wanted’, adopting ‘L’ as the pseudonym, which ‘puts the article in our normal series of anonymous articles signed with an initial’. To accommodate Berlin he had had to stop the presses, and he withheld the honorarium for ‘The Soviet Intelligentsia’ as a contribution to the costs involved. The only sign of what must by this point have been firmly gritted teeth is Armstrong’s remark in a letter of 20 September that he ‘only didn’t quite see why if there was to be no Utis it mattered what Mr L called his article, but doubtless you had a good reason for protecting him too’. I have had two delightful letters from unknown correspondents in the USA: one from a lady who encloses a letter she wrote to John Foster Dulles, commenting on his articles in the same issue, and drawing his attention to the deeper truths of mine – so far so good. She goes on however to say that the article by the unknown ‘L’ seems to her to give a truer picture of some of these things than even my own otherwise flawless work – and wishes to draw my attention to an article from which I have to learn, she hopes she is not hurting my feelings, but she does think it a good thing to be up to date, my own article is somewhat historical, the other article is on the dot and on the whole a better performance altogether. I am oscillating between humbly expressing my admiration for the genius of ‘L’ and jealously denouncing him as a vulgar impressionist who is trading on people’s ignorance and giving an account which no one can check, which is, when examined, no better than a tawdry fantasy, which has unfortunately taken innocent persons like her – and perhaps even Mr John Foster Dulles – in. The other letter is from an Indian at Harvard who praises my article and denounces that of ‘L’ as a typical American journalistic performance unworthy to stand beside the pure and lofty beauty of my deathless prose. I thought these reflections might give you pleasure. This comment on the post-Soviet situation provides an interesting postscript to the previous essay, recording Berlin’s delight and surprise that the intelligentsia had emerged so unscathed from the depredations of the Soviet era, contrary to his rather gloomy expectations. In subsequent years his confidence that the death of that era was truly permanent steadily increased, despite the immense problems of its aftermath, some of them only too reminiscent of those engendered by Communism. *Reprinted from "The Soviet Mind: Russian Culture under Communism" (Brookings Institution Press, 2011) by Isaiah Berlin. Preface © Henry Hardy 2004. Henry Hardy is a fellow of Wolfson College, Oxford University. 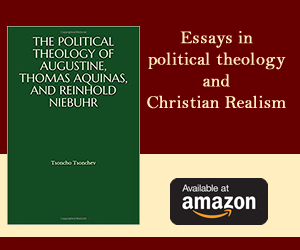 He is one of Isaiah Berlin's literary trustees and has edited a number of other collections of Berlin's essays. In his The First and the Last (New York/London, 1999), pp. 9–19, at p. 17. Letter of 20 February 1946. The poem is the second in the cycle Cinque. The whole tribute is posted under ‘Writing on Berlin’ in The Isaiah Berlin Virtual Library (hereafter IBVL), the website of The Isaiah Berlin Literary Trust, http://berlin.wolf.ox.ac.uk/. Letter to David Astor, 27 October 1958. Sunday Times, 21 December 1958, p. 6. Sunday Times, 7 November 1995, section 7 (‘Books’), p. 9. Readers may like to have a note of Berlin’s other shorter publications on Pasternak: ‘The Energy of Pasternak’, a review of Pasternak’s Selected Writings, appeared in the Partisan Review 17 (1950), pp. 748–51, and was reprinted in Victor Erlich (ed. ), Pasternak: A Collection of Critical Essays (Englewood Cliffs, NJ, 1978); and there is a letter on Pasternak, written in reply to an article by Gabriel Josipovici, in the Times Literary Supplement, 16–22 February 1990, p. 171. A. J. P. Taylor, ‘Stalin as Statesman: A Look at the Record’, New York Times Magazine (New York Times, section 6), pp. 9, 53–60.